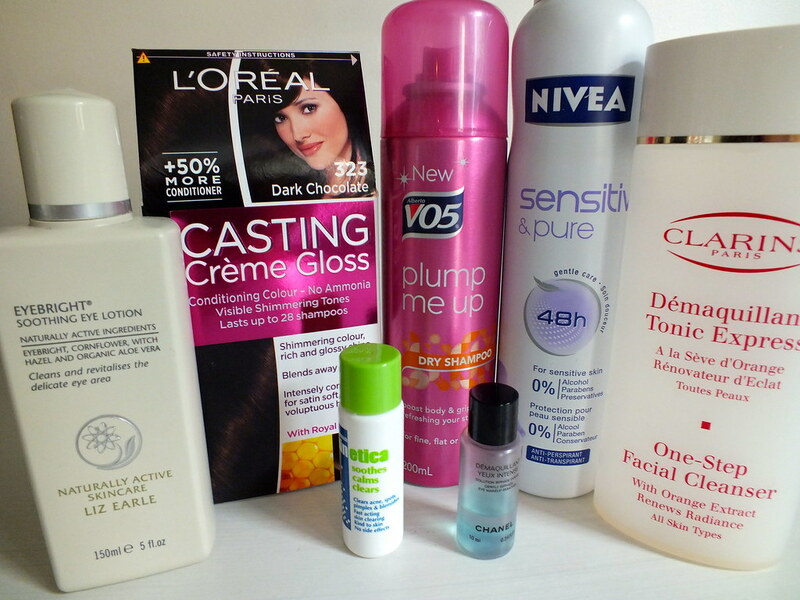 Lot's of full size products in this month's empties post as well as my usual stash of travel sizes. As you can see it was time once again for me to touch up my grey hairs (welcome old age!) with L'Oreals Castine Creme Gloss in Dark Chocolate. 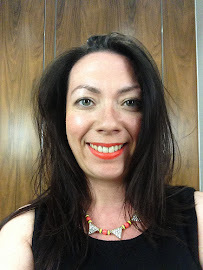 I'm toying with the idea of changing up my hair at the moment which may draw to a close of home dying and calling in the professional but I'm just deciding whether to take the leap. Liz Earle Eyebright Soothing Lotion is a favourite of mine which I mentioned in my recent #theSOproject Skincare post you can read here. I favour this to give my eyes a wake up call and remove any gunk in the mornings or for particularly bad hayfever days. I sent for a sample of Skinetica Anti-Blemish Treatment by applying here as for £1 it was worth a try. I tend to only get a spot here and then during 'that time of the month' and would apply this to the effected areas. I always wonder about these sort of products because you can't really whether it's nature or the product working. 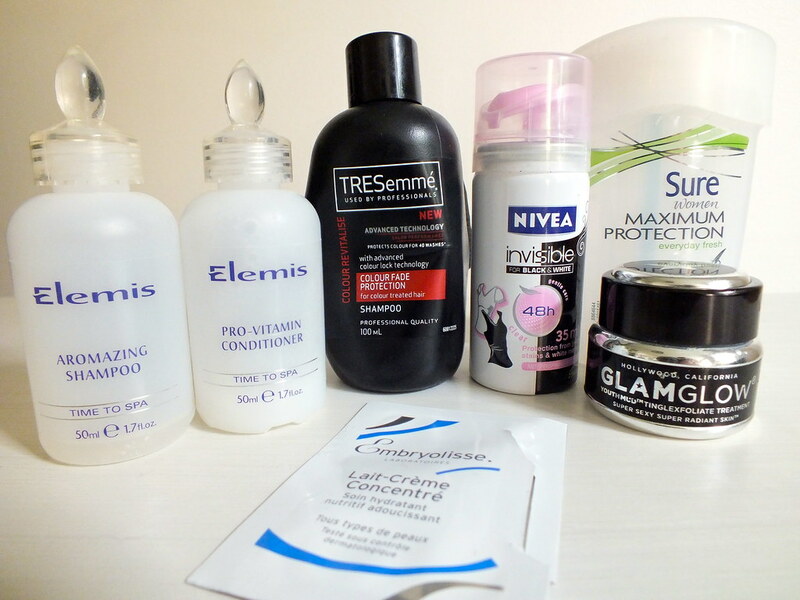 Would I buy again, I think not as my skincare regime should be sufficient to deal with hormonal breakouts. VO5 Plump Me Up Dry Shampoo* is a staple for me when I need to give my hair a bit of life if popping out after work or at weekends when I'm doing little more than popping to the supermarket. Clarins One Step Facial Cleanser was a purchase last year when I was attempting to improve looking after my skin (and failing based on the fact I've only just finished it this year) and trying to find something to buy in Duty Free (something I won't have a problem with when I'm next travelling). This is my lazy cleanser. It sits on my bedside with some cotton wool pads so if I've climbed into bed without removing my make up I can reach across when too comfy to head to the bathroom. Whilst it smells great and does it job at removing the make up it's rather oily to use so I wouldn't repurchase as there are so many other choices out there. I don't know why I persevered with Nivea Sensitive and Pure Deodorant as it actually made me sweat more when I would use it. I would definitely not repurchase this, especially now as you'll see below I think I've finally found a deodorant that works. We all know I'm a big fan of Chanel but a fan of their Bi-phase Eye Make Up Remover I am not. My eyes stung all night after using this. Again I persevered but it was too much and I decided it was time to abandon it. Elemis Shampoo and Conditioner didn't cut it for my hair and I was left with greasy roots, definitely not a repurchase and neither would TRESemme Colour Protection Shampoo be. This was better than Elemis' offering but results weren't remarkable. Despite Nivea's other offering not battling the sweat this Nivea mini was sufficient to pop in my bag for the much needed touch ups although I'm all about Sure Maximum Protection* these days. This shampoo comes into it's own when applied at night and again in the morning. I'm planning a full review on this shortly with some tips and tricks to follow so stay turned. GLAMGLOW Mud Mask which I reviewed in this post didn't last long as expected. I managed to eek out 3 masks from this. I'm holding off whether I'll repurchase once I've seen the results from my Orgins Charcoal mask. Finally a product that I've seen popping up in a number of blog posts recently is Embryolisse Lait-Creme Concentrate. I really liked this but sadly it contains mineral oil which no one should be putting on their faces so I don't intend to repurchase.